Who is the candidate in Haiti presidential election Jovenel Moise? 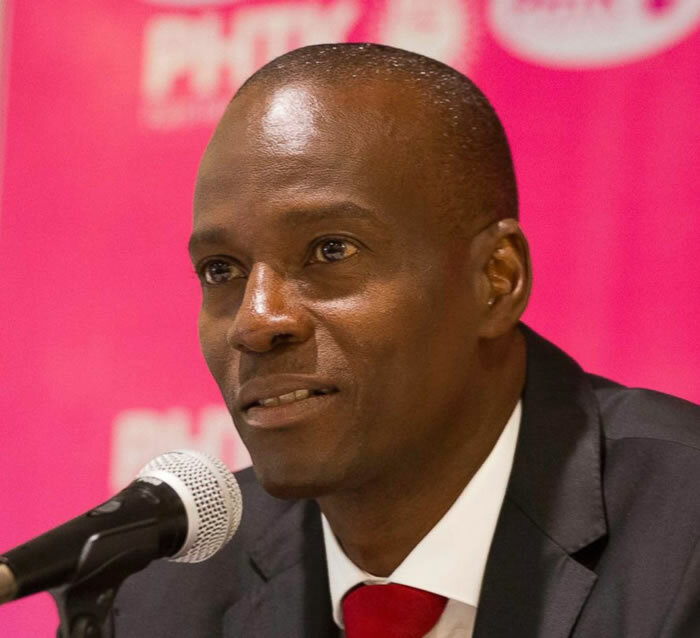 Jovenel Moise (born June 26, 1968), the government backed candidate from the PHTK party was handpicked by the outgoing President Martelly as his successor. He was born in a modest family in Trou du Nord (North-East Department). Jovenel inherited own sense of discipline, civic and moral responsibility and love for the country from his parents. As a shrewd entrepreneur, he is the main promoter of the Agritrans banana export project in Haiti. Moise knows very well how to transform problems into opportunities. Mathias Pierre, a presidential candidate from the Konsyans Patriyotik party, when one week before the election, realized that he could not do well in the run, decided to support Jovenel Moise. However, Jovenel's success in the first round election, with 32.81% votes against 25.27% of Jude Célestin, was little unexpected because Celestine had a pre-election approval rating of 33.4% while Moise was much behind in the second place with 17.5% approval.